Catch Your Soon-to-Be-Favourite Singaporean Encik Lim Teh Peng on Channel 5 This Wednesday! Doing anything this Wednesday night? We suggest you stay home and turn on the tube—Heartland Hubby will be airing for the first time at 9:30 p.m. 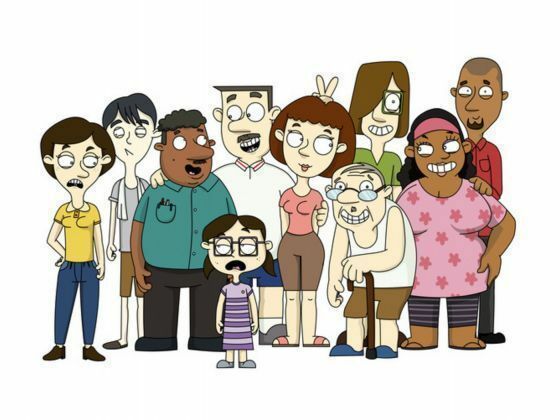 The first local animated sitcom will feature fatherly figure Encik Lim Teh Peng (voiced by actor Lim Yu Beng), a middle-aged warrant officer who owns and runs a minimart with his wife Molly (voiced by Petrina Kow). Living with them in their HDB unit is their son Robbie (Dwayne Tan), and daughters Cathy and Winnie (both voiced by Denise Tan). Other voice actors include George Young, Ebi Shankara, Siti Khalijah, Alaric Tay, Chua Enlai, Judee Tan, and Hossan Leong. The brainchild of Robot Playground Media’s managing director and co-founder Ervin Han, Heartland Hubby was created out of a desire to do something "undeniably local." “The heart of the show is the relationship with our family members, neighbours, and friends, and how the lines between these three groups can and should be quite blurred,” Han says. Being an animated series, Heartland Hubby will be “a bit more absurdist,” says Han. “With animation, you are able to get away with certain things that live action probably would find harder to do, in terms of the tone and humour.” Han reports that two old stray cats named Bobo and Chacha, who will be as the show’s feline commentators, will act “like two old uncles in a coffee shop drinking and just complaining about everything under the sun.” Catch Heartland Hubby on Channel 5, every Wednesday starting January 7, at 9:30 p.m. 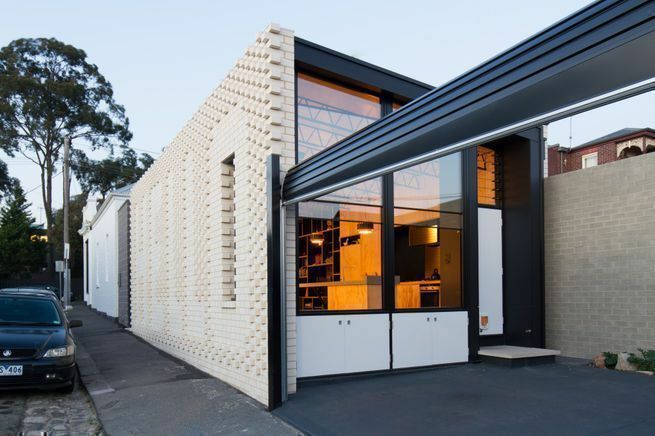 Converting their Victorian-era space—which has large storefront windows facing the street—into a home can be a challenge, so these Melbourne residents turned to OOF! 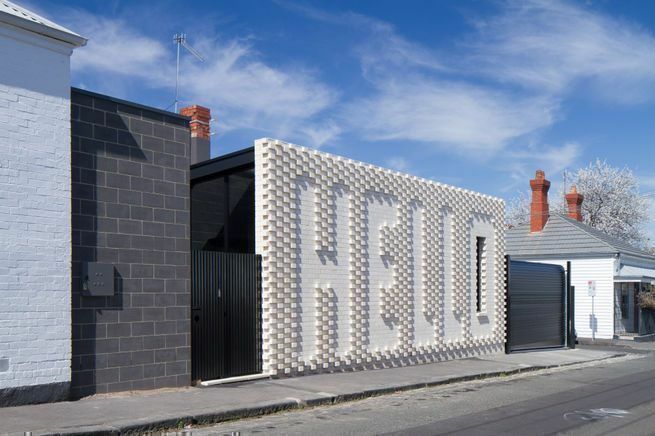 Architecture (who in turn collaborated with local artist Rose Nolan) to give them privacy from the street while making their home façade appeal to passersby. 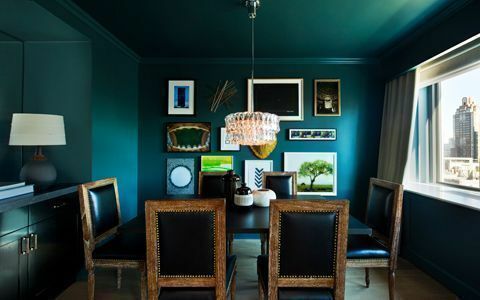 How to do this? 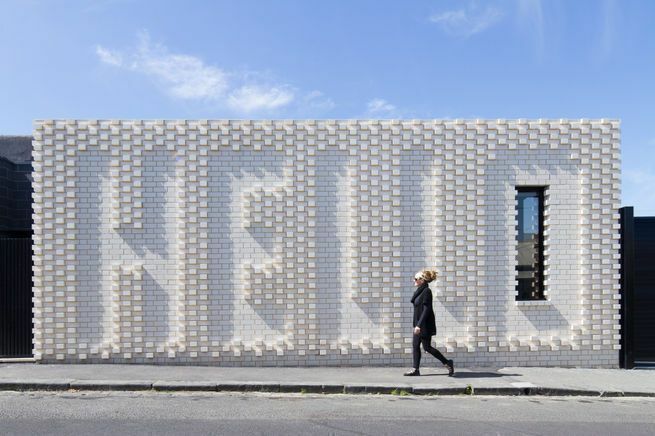 With a giant white brick wall that spells “HELLO.” This unusually friendly look feels right at home on a well-trafficked block near a café. 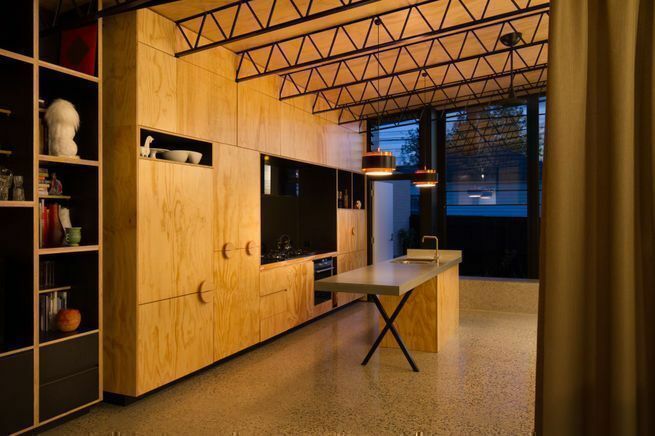 Indoors, commonly available materials like plywood are used throughout, enhancing the warmth of the open-plan living areas. 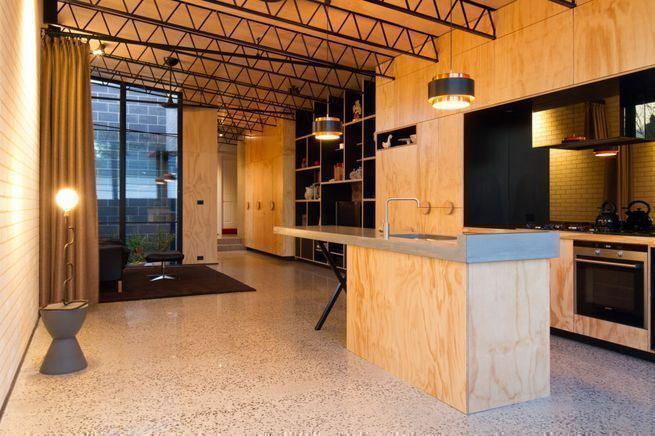 Black metal tresses and polished concrete add an industrial touch, but yellow lighting make the space still feel warm and homey. 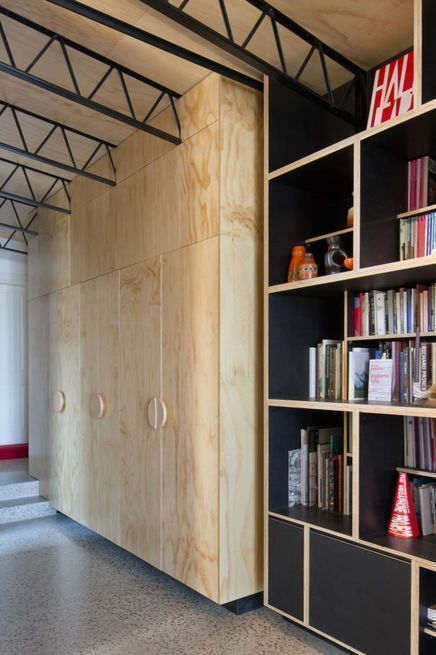 Storage is provided for by built-in cabinets throughout the space. 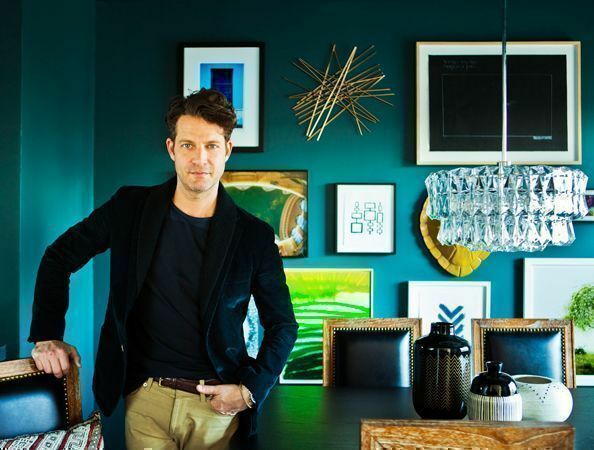 TV host and well-known interior designer Nate Berkus was tapped by Loews Regency Hotel in New York City to revamp one of its signature suites. 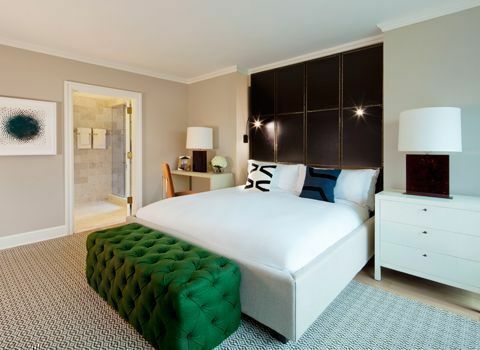 And while designer-revamped hotel rooms are not new, what we’re loving about this particular collaboration is that the 1,000-square-foot suite still feels comfy, homey, and downright New York-ish. 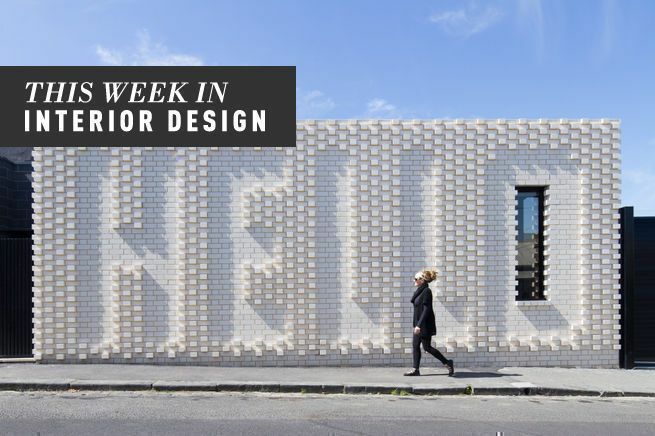 Take two natural elements, mould them together, and what do you get? 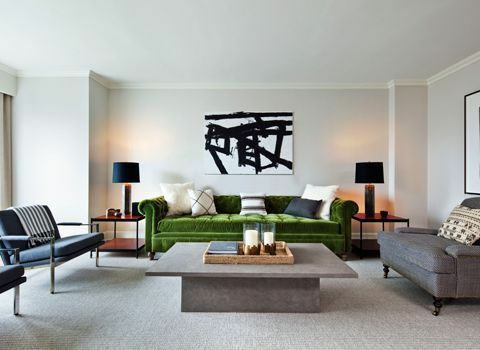 Exquisitely crafted and beautifully designed furniture that you’ll want to display in your space. 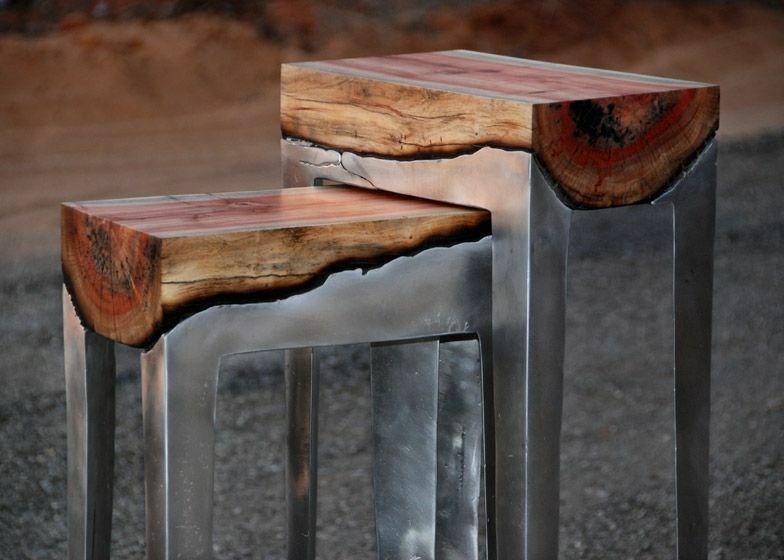 The Wood Casting collection of Tel Aviv-based Hilla Shamia Design Studio is exactly that, which includes tables, stools, and benches made of tree trunks moulded into molten aluminium. 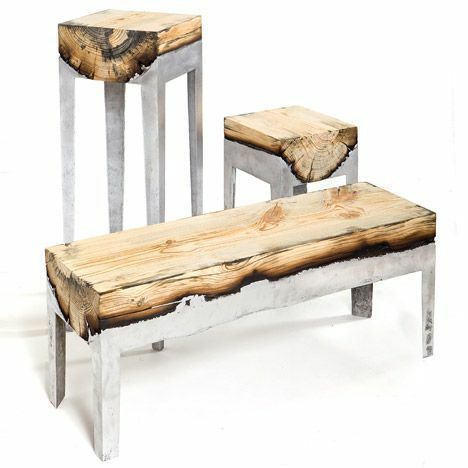 Each item from the collection begins with tree trunks cut into planks, then inserted into a mould that forms the piece of furniture. Molten aluminium is then poured into the mould, filling the leftover spaces and completing the piece. 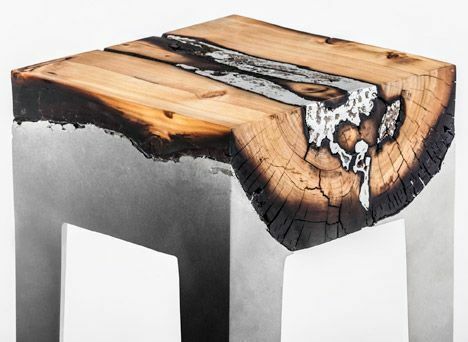 The edges of the wood burns with the heat from the molten metal, and forms charcoal, which eventually lines the union between metal and wood.